Hello, from Los Angeles, California! 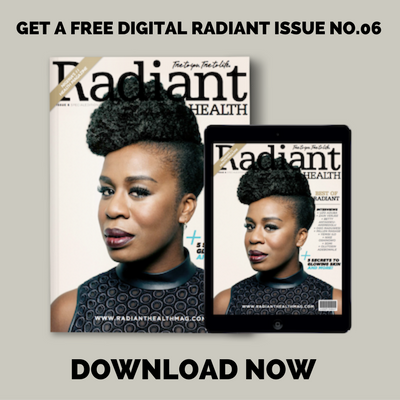 My name is Chinyere Cindy Amobi and I am honored and excited to announce my new role as Digital Editor of Radiant Health Magazine. After freelancing for Radiant over the last few years, stepping into this new role allows me to give Black women throughout the African Diaspora the same opportunity I was given: to tell our own health stories and take charge of our narrative. 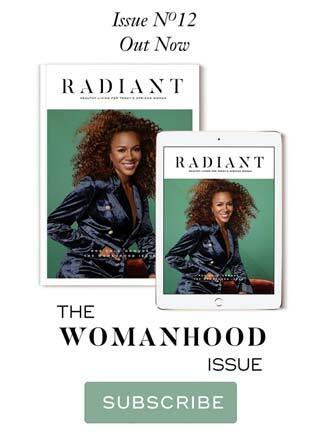 Radiant Health Magazine is currently achieving something that few other publications can boast: providing a space for African women, health and wellness experts, fitness devotees, and lifestyle gurus to express themselves and their expertise, with the sole purpose of helping us all live our best lives. In my new role, I hope to elevate voices that have previously been silenced, whether from lack of opportunity or from exclusion from the mainstream conversation. I hope to give well known and respected voices the chance to reach new audiences. I hope to give Black women the opportunity to discuss issues that are often brushed under the rug, including those surrounding mental and sexual health. I hope to provide a space for health professionals to bring to light the elements of our culture and everyday lifestyle that are making us stronger, as well as those that may be killing us slowly. 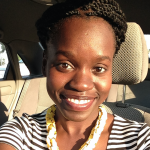 In essence, I hope to lead this site in continuing to be a place where women of the African Diaspora feel heard, celebrated, empowered, and informed. Though I live in Los Angeles, California, I am Igbo from Mbaise, Imo State in southeastern Nigeria. Igbo kwenu! I was diagnosed with Systemic Lupus Erythematosus (SLE) ten years ago, during my freshman year in university. This ignited my love and passion for health writing and public health. Although I love to write, writing can be a slow and painful process for me! If you speak to me while I’m writing an article, you might not have any idea that I chose this profession. I am currently obsessed with Jidenna, so much so that I wasn’t even mad when he was two hours late to his own concert. I get all my Nigerian music from my younger cousins, who are keeping me young as I prepare to dip my toe into my 30s. Have some ideas for what you’d like to see on the Radiant Health site? Or suggestions for ways to improve content? Please don’t hesitate to contact me at Chinyere@radianthealthmag.com.